Book 12.5 in the Dark Kings series. I just finished reading this short story March 07, 2018. This is my review. 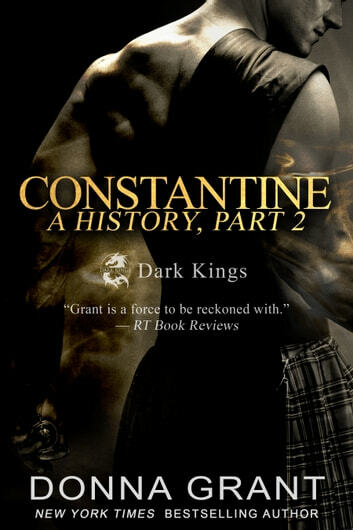 I am really liking these short stories highlighting the past of Constantine (Con), Gold Dragon King and King of Dragon Kings. This is NOT to be read as a stand alone because if you are not familiar with Con in the series, this story will make no sense to you. 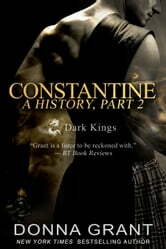 This story takes place approximately 150 years after the first short story (Constantine: A History). Once again, Erith (Death) makes an appearance and another discussion with Con ensues. This time the story is about Con loosing hope about the future and his Dragon Kings and Erith (aka Iris in this story) helps Con get his hope back. We also get to see the start of Dreagan Industries, the Kings' Whiskey Distillery. The story provides good insight into what made Con into the Dragon King he is today. I look forward to reading the next short story.